1. In a large mixing bowl, place ground beef and sausage. Mix until well combined. 2. Add rest of the ingredients and mix with hands. Mixture should not be too wet or too dry. If it's too dry, add a little milk. Too wet, add a little more breadcrumbs. 3. Shape them into about 2oz balls. You can use a cookie scoop or by hands. 4. 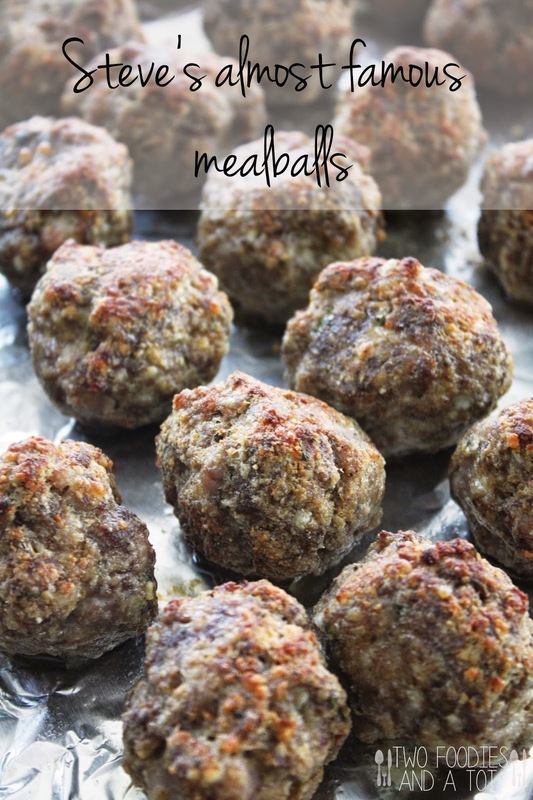 Place the meatballs on a lightly greased lined baking sheet and broil on the bottom rack for 4-5 minutes. 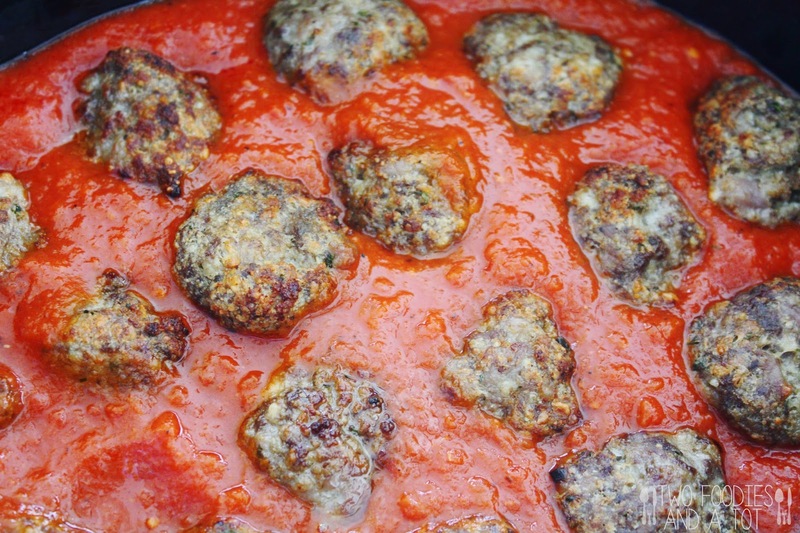 Flip the meatballs and broil for 4-5 minutes. If eating directly, make sure they're fully cooked as it contains pork sausage. * If I'm serving them in the sauce, I like to slightly undercook the meatballs and simmer in the sauce to finish cooking.